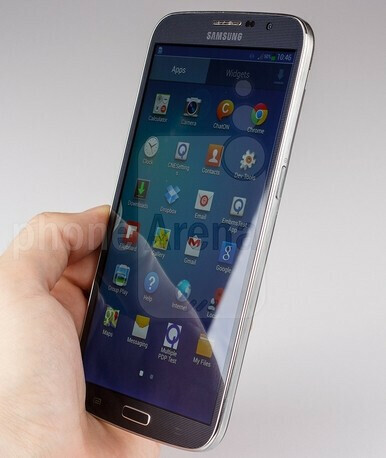 Last we heard, Samsung’s Galaxy Mega 6.3 wasn’t supposed to receive its Android 4.4.2 KitKat update before June. However, Samsung is already rolling out the update to Galaxy Mega 6.3 GT-I9200 owners in Russia - so users in other markets should expect to get it soon, too. Of course, the actual timing of the update will depend on your location (and your carrier, if you have one). Launched almost a year ago (with Android 4.2 Jelly Bean on board), the Galaxy Mega 6.3 was seen by some as being too big - since it sports a 6.3-inch 720p display. Nevertheless, it looks like the handset found quite many fans. It’s currently available to buy for around $400 unlocked, so it may still attract new customers (as long as they don’t mind carrying a smartphone that’s almost as large as some tablets). In the near future - likely starting next month - Samsung will update several other older devices to Android 4.4 KitKat, including the Galaxy Mega 5.8, Galaxy Grand 2, and Galaxy S4 Mini. Of course, because it have a far better specs and also in different league. Just when I'm about to purchase the Galaxy S5 they decide to put 4.4 Kitkat. I would have loved to test it but it seems that I won't see it on my phone as buying the GS5 is now in the stage of day-to-day for me.